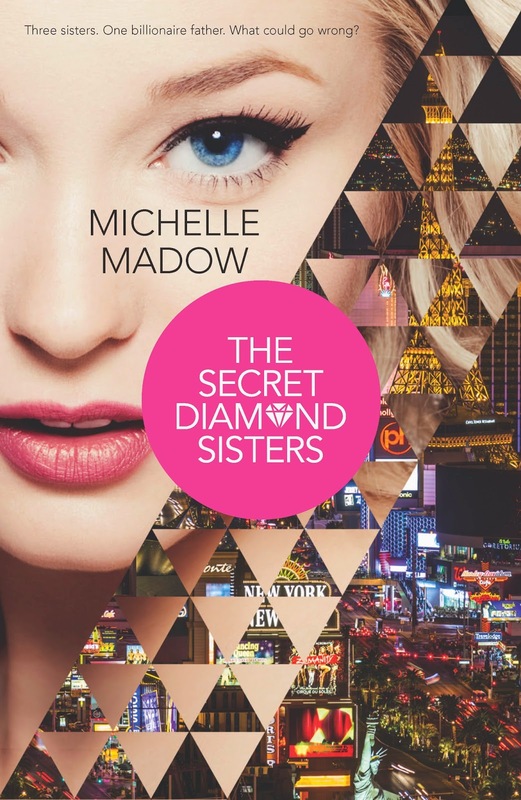 Michelle Madow: The Secret Diamond Sisters $4.99 Kindle Sale! The Secret Diamond Sisters $4.99 Kindle Sale! The Secret Diamond Sisters is currently $4.99 on Kindle! That's 50% off the original list price. I don't know when this sale ends, so you'll want to get it at this price while you can! For less than the cost of each of these items, you can buy The Secret Diamond Sisters on Kindle and experience the life of an heiress living in Las Vegas. And with the sequel, Diamonds in the Rough, releasing in 11 days, now is the perfect time to read The Secret Diamond Sisters, a book that Booklist called "electrifying" and RT Reviews called "one crazy and fabulous ride!" Buy The Secret Diamond Sisters for $4.99 on Kindle while you still can! The three sisters grew up not knowing their father and not quite catching a break. But it looks like their luck is about to change when they find out the secret identity of their long-lost dad--a billionaire Las Vegas hotel owner who wants them to come live in a gorgeous penthouse hotel suite.